The M12 series of waterproof sensor connectors from GT Contact are coded sensor connectors available in A, B or D coding with screw type couplings and sealed to IP68. They can be used in-line with cable to cable connections or for cable to panel mount connections (A and D coding only), with a choice of either end been a male or female connection. The M12 series of waterproof sensor connectors from GT Contact are coded sensor connectors available in A, B or D coding with screw type couplings and sealed to IP68. 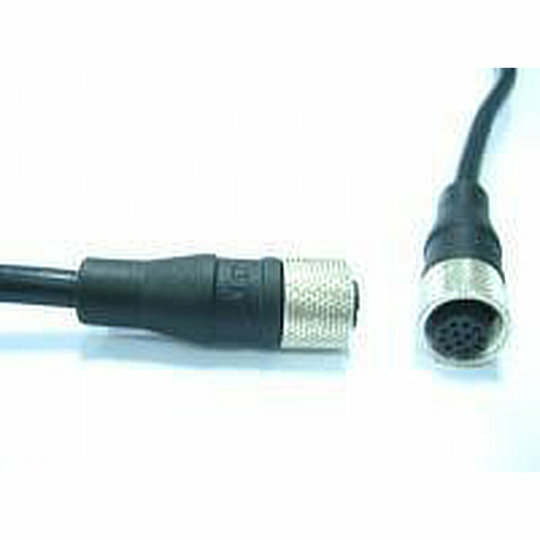 They can be used in-line with cable to cable connections or for cable to panel mount connections (A and D coding only), with a choice of either end been a male or female connection. Designed for panel cut-outs of 15.3mm with gold-plated contacts in a choice of 4, 5,8 or 12 pin in A coding, 5 pin in B coding or 4 pin in D coding. The M12 series have solder or DIP pin style terminations on panel mount connectors or pre-wired on the cable side. The panel connectors are also rear potted giving IP68 protection to products even if the connector is unmated or sealing cap not connected. The M12 series is perfect for applications such as Outdoor AP, Outdoor Sensor Equipment, Outdoor Security Systems, Medical Devices, Marine Equipment and Automation.